*Astrogation/Nav Computers: Though Babylon 5 itself is not meant for space flight, it can easily plot a course through Hyperspace for ships coming and going through its local Hyperspace Jumpgate, as a part of the many services it provides with its docking and labor business. As B5's nav computers are high quality, many ships make use of this instead of relying on what may be lesser quality nav computers onboard their ships. **Emergency Maneuvering Thrusters: Babylon 5 is not meant for space flight as far as any canon information goes. 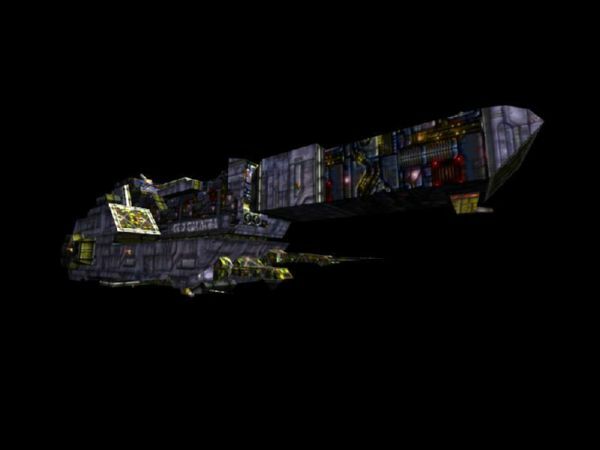 However, in keeping with Babylon 4 information, it may be able to move slowly through space to reposition itself as needed, though slowly (Space Speed 1, Maneuverability 1D). 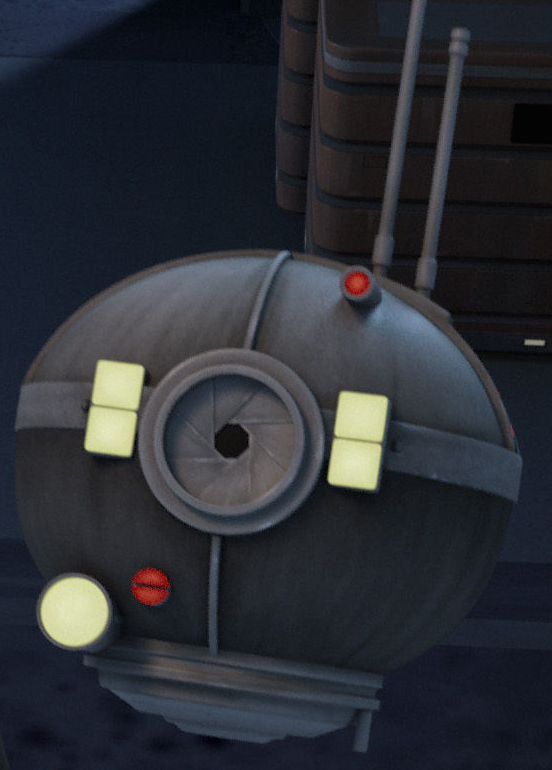 Also, in the series pilot, "The Gathering", the station needed to activate an emergency thruster system to correct its position as the station began tumbling out of control. If this should occur, a Space Station Operations roll of Easy must be made, giving the operator of B5 Space Speed 4/Maneuverability 2D to correct the station's orientation. This will give them a bonus for rolling on what will probably be a higher Difficulty for the actual roll. However, if this is done, everyone on Babylon 5 MUST make a Dex check (Very Difficult) or suffer 4D Damage due to being tossed about inside the station. This may be worse depending on where one is located inside. -GRAVITY: Parts of this station have no artificial gravity or rotating sections. The crew operate in zero-g. If they use the straps and such to stay seated, they can operate with no penalties. Otherwise, they incur all the penalties for operating in zero-g. This also occurs if rotating sections of the station stop rotating for some reason. -DEFENSE GRID: Babylon 5's defense grid was updated in 2259. Many more weapons were added, as well as more powerful wepons that it did not possess before. Before the upgrade, B5 could fend off many starfighters and other small ships but not much else. After the upgrade, it was said that the station could hold its own against a warship. If using Babylon 5 before this upgrade, give it half the Dual Twin Particle Arrays, perhaps the Interceptors, and leave out the rest. 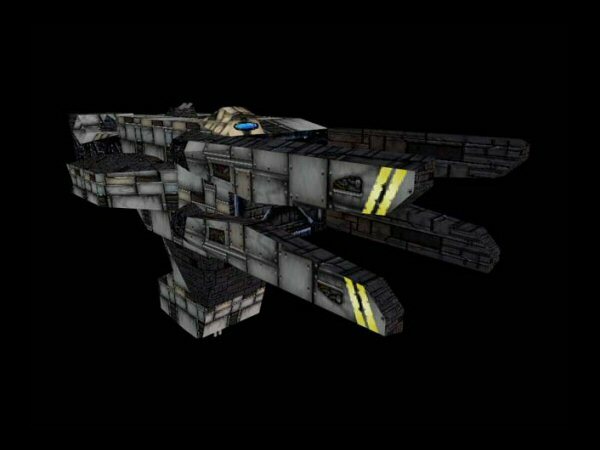 -BABYLON 4: If anything is lacking in these stats, those for Babylon 4 could be used to fill in thye gaps, and vice versa as both stations were built with similar materials and technologies and to serve a similar purpose. 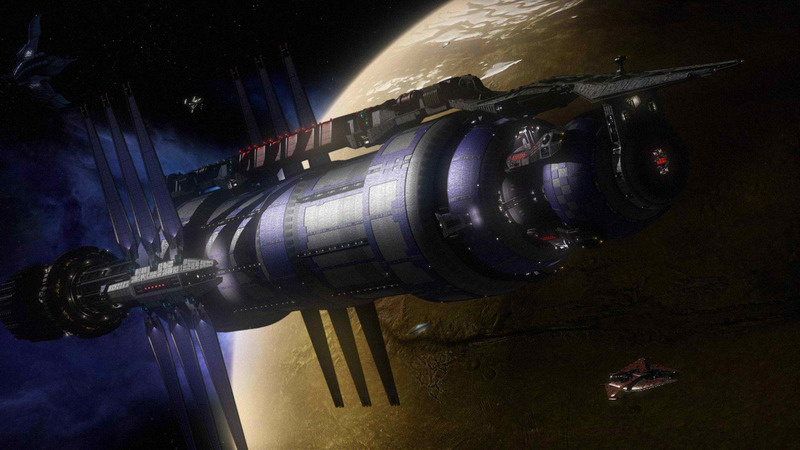 "A final refuge for dreams...and our last best hope for peace..."
Babylon 5 was the fifth and final space station in the Babylon Project, located in neutral space in orbit of Epsilon III near Epsilon Eridani. Babylon 5 was divided into six color-coded sectors: Blue, Red, Green, Brown, Grey and Yellow. Each sector was subdivided into 36 regions divided along 10-degree lines respective to the station core. Directions within the station were noted as spinward, retrograde, forward (toward the command sphere), and aft (toward the power plant). -Blue Sector: Blue Sector comprised the forward section of the station and extends approximately 1.5 km aft to Red Sector and housed the maintenance and operational control centers, docking bays, customs, embarkation, the observation dome, the cobra bays and C&C as well as quarters for station personnel. Access to Blue Sector was mostly restricted to station personnel. -Red Sector: Red Sector was the station's commercial area. Businesses such as hotels, casinos, bars, restaurants, the Zócalo and conference areas could be found here. Medlab, Security headquarters, and the Judiciary were also located in Red Sector. Access to Red Sector was unrestricted. -Green Sector: Green Sector, also known as the diplomatic sector, was restricted to diplomatic and command personnel. To accommodate the various diplomats and other guests, medlab facilities were also available in Green Sector. -Brown Sector: Brown sector houses the industrial work that supports the life support and waste reclamation facilities. It is located at the rear of the station's rotating section. -Grey Sector: Grey Sector was the furthest section of the carousel aftward. Atmosphere monitoring, the alpha power station, fabrication furnaces and maintenance facilities could be found here in the sector's 30 levels. Grey Sector's structure was incomplete due to budgetary restrictions. Due to the machinery, scans and communications were unreliable. Grey Sector access was restricted to command, security and maintenance personnel. Due to reports of missing persons and strange occurrences, Grey 17 was placed off-limits to all but security personnel. -Yellow Sector: Approximately 3 km long, and aft of the carousel, Yellow Sector contained the primary fusion core, fuel tanks, and variable gravity research labs and zero-g maintenance. The Central Corridors are a series of multi-level public access ways that run around the station's circumference and often serve as public areas and marketplaces. The Zocalo is situated in one such corridor. Living quarters on Babylon 5 are divided up according to size, quality and function. Since space is at a premium on B5, larger quarters are correspondingly more expensive. The quarters in Blue Sector are reserved for station personnel, including the command staff, support workers, station services, pilots, dock workers and visiting VIPs from Earth. The size of the quarters assigned to EarthForce personnel is determined according to rank and position. In 2259, Earth Central decided that since the station had been running at a deficit that the quarters assigned to Captain John Sheridan and Commander Susan Ivanova were larger than was required, (by 7 feet) and ordered them to either move to smaller quarters or start paying 30 Credits a week each in rent. After a brief stand-off, Sheridan eventually resolved the issue by deducting 60 credits per week from the station budget set aside to maintain combat readiness and applying it against the rent, on the grounds that he was not ready to fight without a decent night's sleep in his own bed. Living quarters in Green Sector are generally reserved for Ambassadors, diplomatic personnel and visiting dignitaries and are paid for by their respective governments. Some non-diplomatic economy quarters in the area are available to rent in the Alien Sector, for species that require alternate atmospheres. In Red and Brown Sectors living quarters are available to rent for station visitors and vary from the small and spartan economy sized which contain little more than a bed, table and chair to the modest but well furnished business which comes with Babcom and data net access and entertainment terminals. The luxury class quarters are the finest and by extension the most expensive suites on Babylon 5 and come with a full range of amenities including a water (or racial equivalent) shower. Downbelow is a term used for the various undeveloped areas of the station, mostly in the lower levels, near the outer hull, around the waste recycling system, the air compressors, and the water reclamation facility. Downbelow is a hotbed of crime and accounts for as much as 90% of the station's crime rate, mostly because it's the only place for many people to go when they come to the station looking for a new life, but run out of money, unable to buy passage home, effectively becoming the station's homeless, referred to as Lurkers. The very worst parts of Downbelow are located in Brown Sector, which is a less than pleasant locale at the best of times. Downbelow is often divided up between an ever changing roster of various criminal factions, small-time thugs and gangsters. Most are little more than violent bullies that have learnt to survive by stealing, intimidation, protection rackets and extortion. Even the secretive Thieves Guild have a presence in this area. Downbelow came about as a result of budgetary cutbacks and a rush to finish when construction was nearing completion, leaving many areas of the station unfinished, especially in the Brown and Grey sectors. Quarters located in Downbelow aren't equipped with Babcom systems so residents must rely on public terminals. In 2258 Dr. Stephen Franklin set up a free clinic in Downbelow to help treat those in need that couldn't afford to go to Medlab and to secretly sort runaway telepaths and get them out through the Underground Railroad. A small facility for the storage of hazardous materials orbited Epsilon III, at a safe distance from the station's orbit. Babylon 5 had, for the most part, its own self-sustained economy. 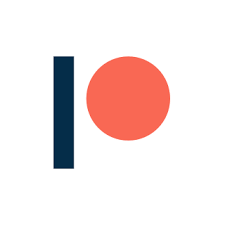 While the station was granted a military and operations budget during the years it was attached to the Earth Alliance, it generated almost all of its own revenue, which covered operating expenses. This fact became central when the station broke away from Earth and was no longer entitled to a budget of any kind. After the station became a free state of its own, the station imposed docking fees on visiting ships to offset expenses. Additionally, the station depended increasingly on trade and commerce from outside sources to generate revenue. A substantial source of income for the station was the rent paid both by individuals for their living quarters and by businesses for the spaces they utilized to conduct commerce. Other sources of revenue included, but were not limited to, money paid by persons undergoing treatment in Medlab and the fees paid to have visiting ships serviced or repaired. -Core Shuttle & Monorail: Long distance, rapid transit on B5 is provided by use of the core shuttles and the monorails. The core shuttles run the length of the station's habitable areas, along the central axis and as such operated in a low/zero-gravity environment requiring passengers to make use of hand rails, mag-strips, seat-belts, and foot-straps. -Transport Tubes: The transport tubes offer short to mid-distance transportation and are used mostly to move between levels. Babylon 5 was built to support around 250,000 humans and aliens, though most were often in transit to and from various worlds, many others actually lived and worked on the station. In addition to Earthforce personnel, there were over 5000 technical staff in addition to medical support, environmental personnel, the Ambassadors and diplomatic staff from nearly two dozen races and over 1000 Docker's Guild workers. From the beginnings of the Earth Alliance Civil War onwards, the security team of Babylon 5 consisted of both humans and Narns, as several Narns enlisted to replace those security personnel who had joined the Nightwatch. "Babylon 5 was the last of the Babylon stations. There would never be another." "It changed the future, and it changed us." "It taught us that we have to create the future or others will do it for us." "It showed us that we have to care for one another because if we don't, who will?" "And that true strength sometimes comes from the most unlikely places." "Mostly, though, I think it gave us hope that there can always be new beginnings. Even for people like us." After the destruction of the first three Babylon stations and the disappearance of Babylon 4, The Earth Alliance cut funding to the Babylon Project. Due to these cuts, the construction of Babylon 5 was underfunded and was completed with the aid and sponsorship of the Minbari Federation and to a lesser extent, the Centauri Republic. As a result, the Minbari government received final veto on the person appointed by the Earth Alliance to run Babylon 5. Babylon 5 came online on March 9 2256 under the command of Jeffrey Sinclair. A poll made by ISN at the time showed only 30% of people asked were in favour of it. By September 2259, it had risen to 40%. Lloyd's of London placed the odds of Babylon 5 surviving at 500 to 1; Las Vegas, 350 to 1; New Vegas, 200 to 1. By 2259, the odds had changed: Lloyd's of London, 250 to 1; Las Vegas, 200 to 1; New Vegas, 5 to 1. In 2260, the station eventually broke away from the Earth Alliance, joining with Proxima III and Orion VII in protest of the bombing of civilian targets on the Mars colony, successfully repelling two carrier groups and gaining protection from the Minbari Federation. Later that year it would increasingly become the centre of interstellar politics and the alliance command centre for the war against the Shadows and later the Vorlons. The station would remain independent through the Earth Alliance Civil War and even following the fall of the Clark regime when the newly formed Interstellar Alliance formally purchased B5 from the Earth Alliance. Even after ISA President Sheridan moved his headquarters to Tuzanor on Minbar, B5 continued to be a hotbed for trade and diplomacy, though by the time the ISA handed the station back into Earth hands in 2276 the station had become largely redundant. In 2281, after almost 25 years of operation, the now practically deserted station was shut down and destroyed to prevent it from becoming a navigational hazard. While the given description does a very good job of outlining mucch of Babylon 5, there is still a lot left out, such as specific locations and incidents oboard the station. For instance, though these stats give B5's consumables as 5 years, the station itself actually relies on hydroponics to produce its foodstuffs for station personnel. The 5 year mark could be considered indefinite depending on conditions of the station. For instance, if resources for running the hydroponics ever runs short for some reason, the Hydroponics Area's ability to produce food could become quite limited if the problem is not taken care of. This could force station personnel to rely on whatever foodstuffs have been stored up (hence the 5 year mark), or rely on consumables shipped in from elsewhere. During the time of the Earth Alliance Civil War, this could pose a great problem, as well as opportunities for game plots. It is also worth noting that Susan Ivanova had a small portion of the Hydroponics Area sectioned off for growing real, nonsynthetic coffee. Coffee, among many other real and nonsynthetic foods and consumables, has an extravagant cost to import to Babylon 5 from Earth or the colonies. The Hydroponics Areas are specifically for growing what the station needs to live and survive. Susan's coffee stash was a secret that very few people knew about, and some (Garabaldi) would use once or twice as leverage to get something they needed. The mention of Babylon 5 having showers with real water may not seem like a big deal to some. But in the case of the Babylon 5 series, those serving Earth Alliance and Earthforce did not have real water showers when serving on military ships or other such limited facilities. Space stations like B5 are few and far between when it came to having real water for showers, and such things tend to be cherished by those who get posted to a position serving on b5 and other similar facilities.